Image courtesy of Josh Root. As part of Automattic’s Grand Meetup this year, I got to go to the last game of the San Francisco Giants this season. 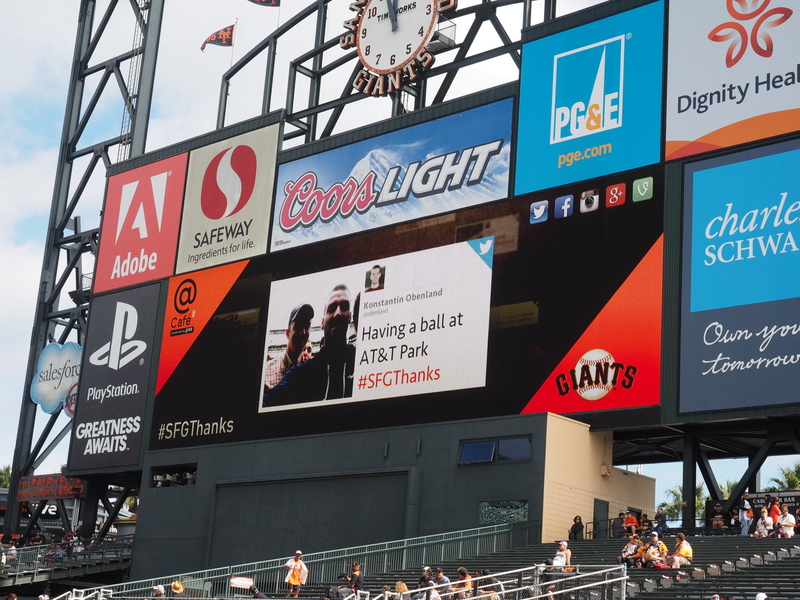 We had early entrance tickets to hang out in one of their lounges and watch warm ups, when I had my tweet featured on the Giants’ scoreboard!